Inspired by Jean-Auguste-Dominique Ingres's La Grande Baigneuse, Ray used Kiki de Montparnasse wearing a turban as a model for this piece. 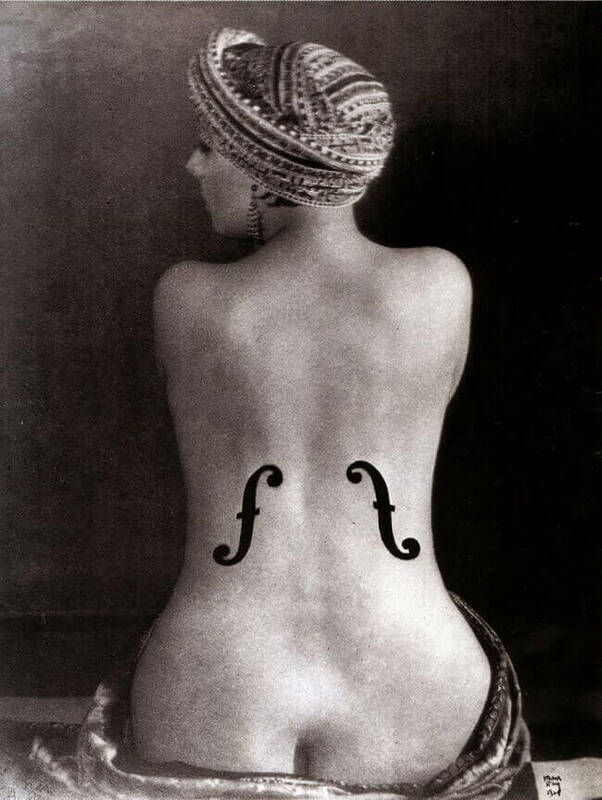 He transformed the female body into a musical instrument by painting sound-holes on her back, playing with the idea of objectification of an animate body. Throughout his career Man Ray was fascinated with juxtaposing an object with a female body. Copyright © 2011-Present www.ManRay.net. All Rights Reserved.